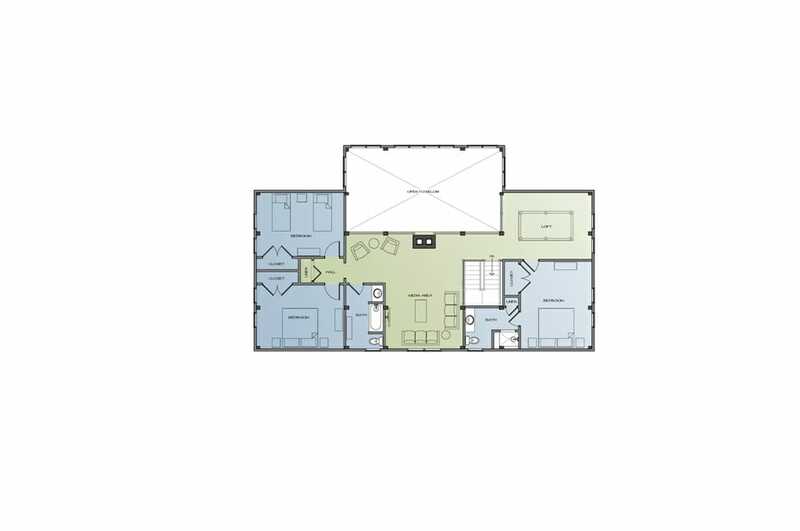 The features of this home include: A kitchen, dining room, living room, foyer, 1.5 baths, a laundry room, a master bedroom, and dressing room on the first floor. 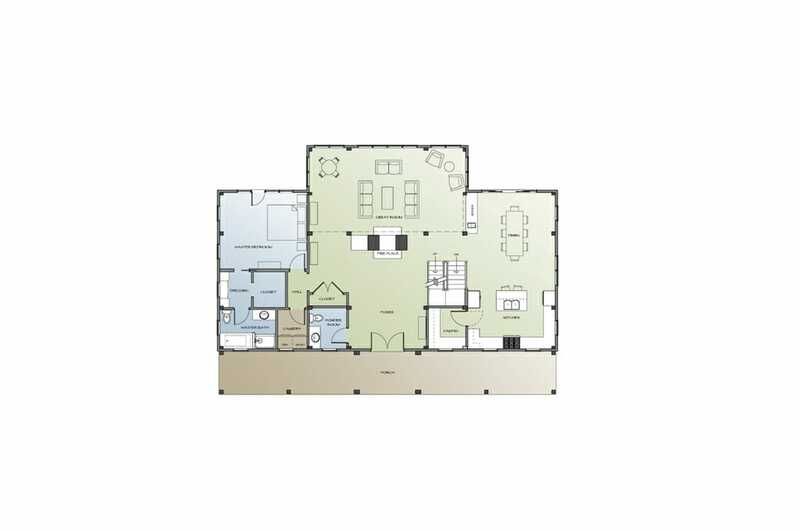 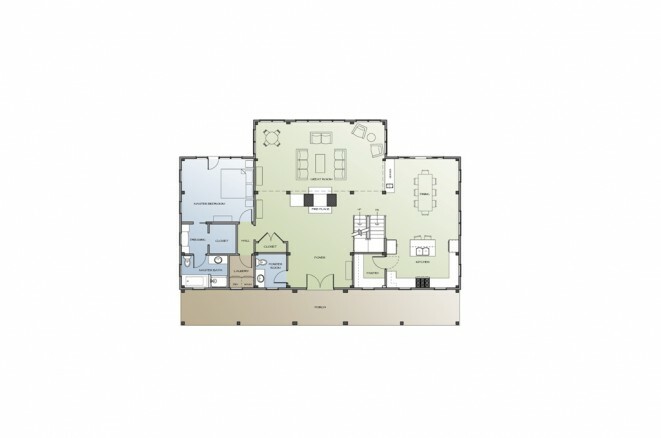 There are 3 additional bedrooms, a media room, 2 baths, and a loft on the second floor. 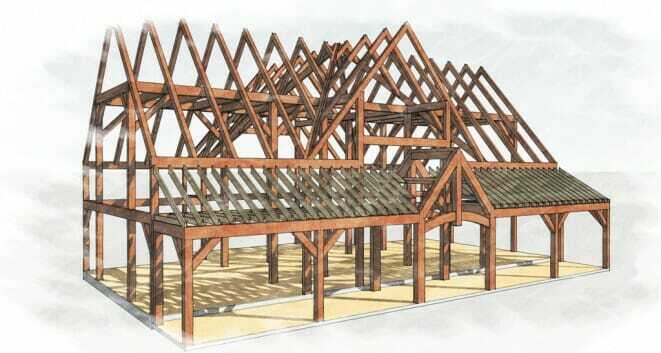 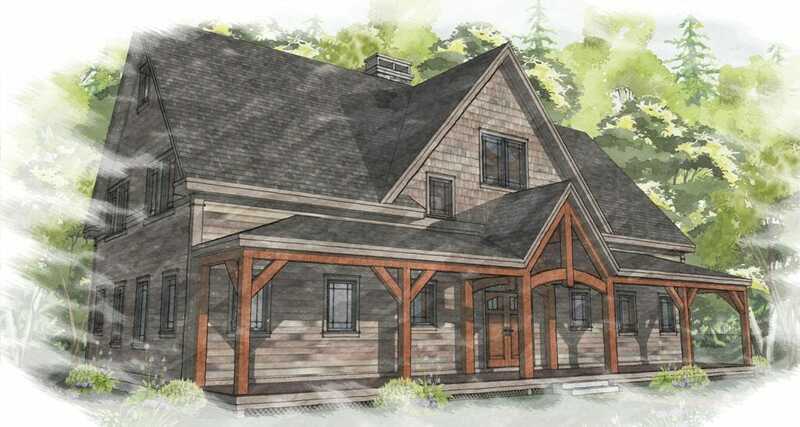 This home was designed by Bonin Architects and is available to be built with a custom, handcrafted Vermont Timber Works Frame.